The son of infamous drug lord Pablo Escobar claims that, despite the fact that his father was one of the wealthiest men on the planet, all Juan inherited from him was a watch and an undesirable surname. “My dad was not very good with the accounting and the numbers, I don’t think he knew how many millions he had. When we left the country after his death, the government took everything. Everything in the hands of the authorities and not the victims, as it ought to be,” Escobar’s son told W Radio. Born Juan Pablo Escobar, the drug lord’s son changed his name to Sebastian Marroquin to escape being associated with his father, something that he says has damaged his professional life as an architect. Marroquin now lives in Buenos Aires. “I lost a lot of business [because of his name], but it is my duty to inform people about my work and who I am, and that I have nothing to do with my father’s past, ” Marroquin said. When his father was killed by the police on a Medellin rooftop in 1993, Marroquin told a Colombian radio station that he would take revenge, killing all who were responsible for his father’s death. He has since retracted this statement and has met up with some of his father’s victims. Police located, caught and then killed Escobar when Medellin’s most famous criminal made a phonecall to his son. 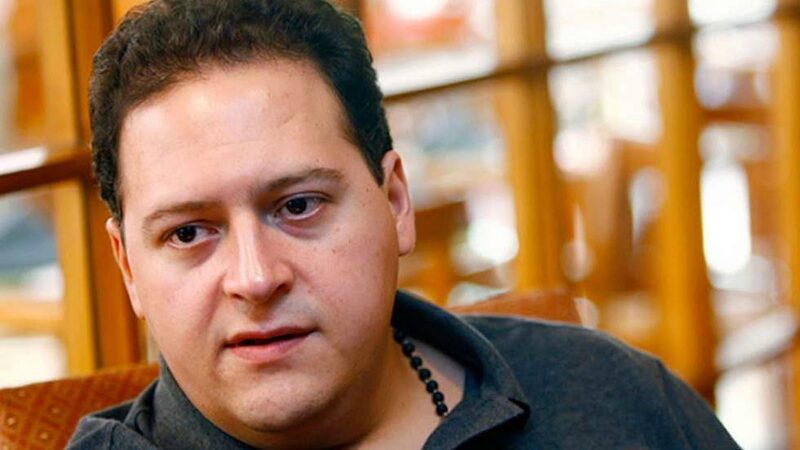 The former Juan Pablo Escobar, 32, used his film “Sins of My Father” to apologize to the sons of two politicians the arch-criminal ordered assassinated during nearly a decade of terrorizing Colombia. The documentary about the life of the drug lord is told from his son’s perspective. Despite his public shows of penitence, Marroquin still faces accusations of a greater involvement in his father’s empire than he has been willing to admit, allegations that he has been quick to dismiss.